It started as a April Fool's joke. Little did J&D's realize that people would actually be clamoring for it. 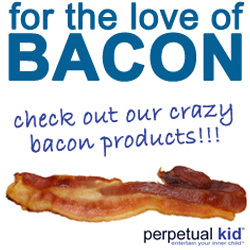 Not ones to let down their bacon-loving bretheren, J&D's made it happen. 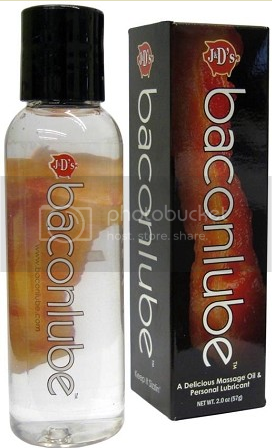 Baconlube™, the world's first bacon-flavored personal lubricant and massage oil ($11.99). Now before you start wrinking your nose and making "ew" faces, have you ever tasted regular lube? I imagine this can only be an improvement.